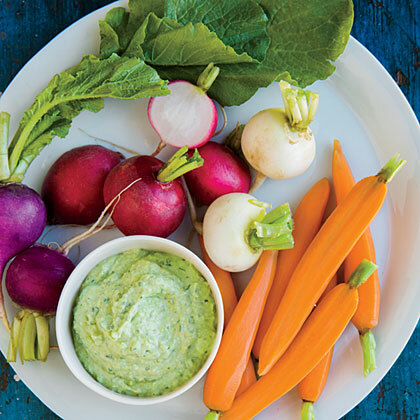 This dip is a riff on the classic green goddess dressing. It's made thicker with a base of pureed peas enriched with Greek yogurt and creamy avocado. Enjoy the tanginess that green tomatoes can add to a variety of recipes including the classic fried green tomatoes, but also salsa, chili, and even cupcakes. 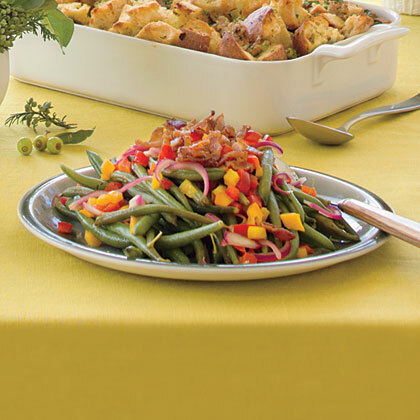 Trade in green bean casserole for Jeweled Green Beans—a gorgeous platter of color, featuring red and yellow bell peppers, red onion, and crispy bacon. 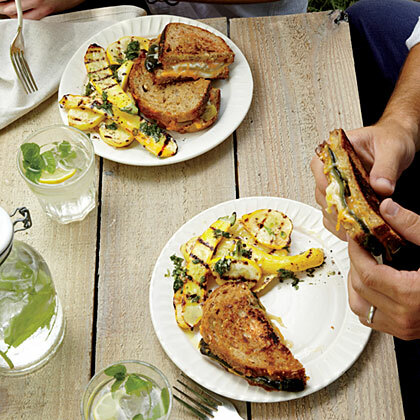 "My younger cousins enjoy this recipe as much as the adults," Whitney says. "I'm not sure they know they're eating their greens!" See our collection of our best green bean recipes for a variety of easy ways to prepare this popular vegetable including sautéing, steaming, and roasting. 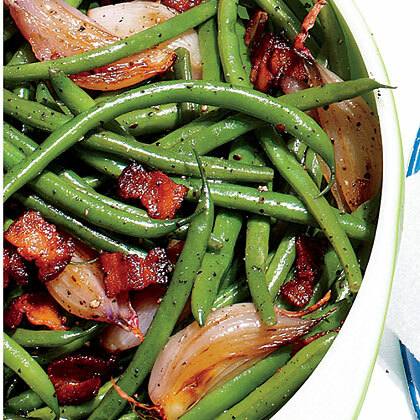 These simple green bean sides are anything but boring and bland. 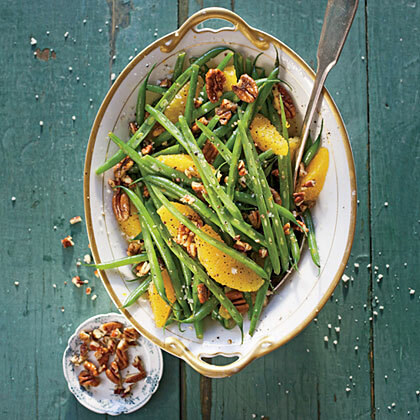 Whether you prefer nutty additions, a creamy sauce, or a hit of seasonal stir-ins, we've got the green bean recipe that's perfect for your table. 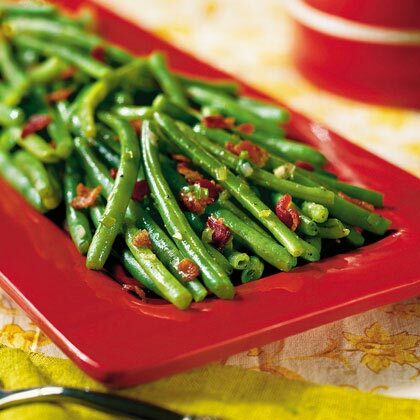 Don't relegate green beans to the holidays; these dishes are perfect for your table all year long. Serve them with your favorite main dish, such as a roast chicken, smoked pork, or planked salmon for an easy, flavorful meal. 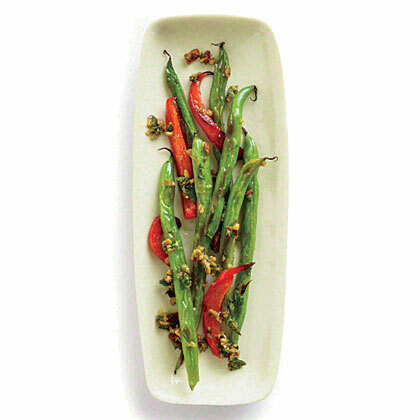 For this quick side, Red Pepper and Pesto Green Beans, we toss roasted green beans with a parsley-pistachio pesto. Traditional pesto is made with walnuts and basil, but we went with pistachios and parsley to switch things up in the kitchen. 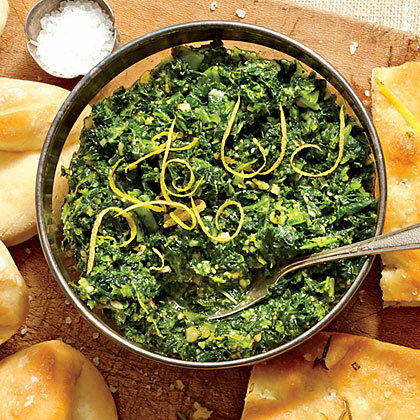 This vegetable side comes together in minutes and tastes best straight out of the oven. Bring it to a potluck or serve it as a side with dinner that the whole family can enjoy. 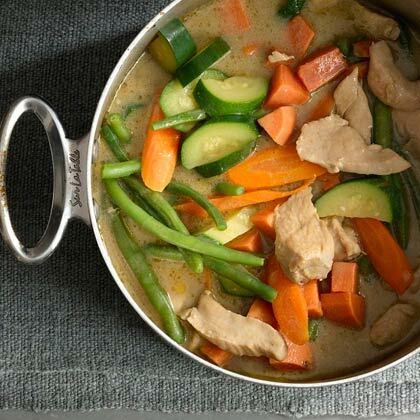 Save the leftovers in an airtight container in the refrigerator. 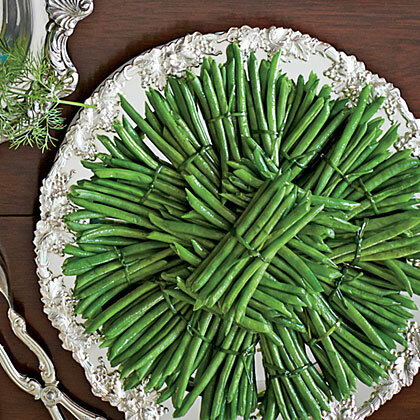 Our panel of kid judges couldn't help but love these creative green bean recipes. Fresh is what you taste in this side dish of Green Onion and Dill Quinoa. 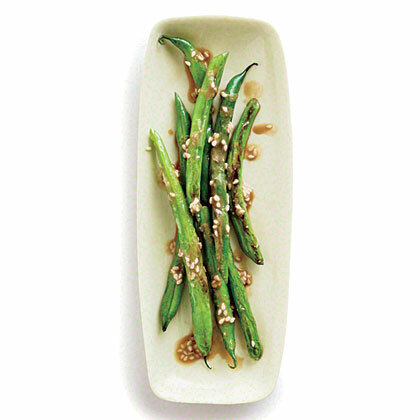 A few, high-flavored ingredients liven up Ginger-Sesame Green Beans. "This is what happens when Green Goddess sleeps with Ranch," Jason says. Use it on any salad, though it's particularly good on tomato salad. "Or use it as a dunking sauce for something fried, like fried green tomatoes." 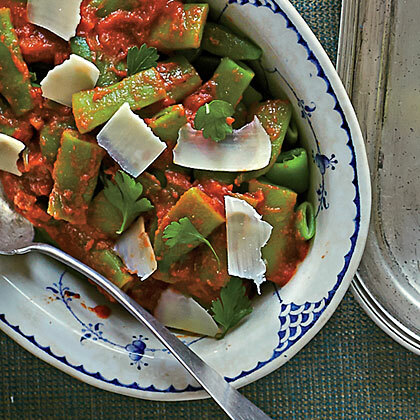 If you love Italian, you'll love hearty Green Beans with Tomato Sauce. 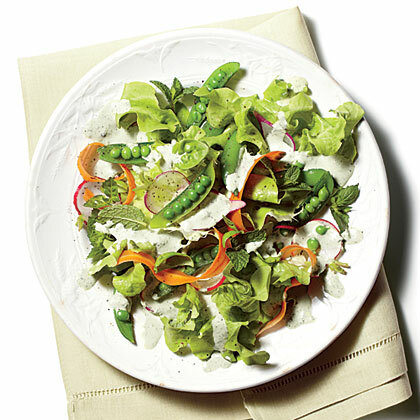 Try this new twist on green beans the next time you need a veggie side. Tie green beans in small bundles of five or six with chives that have been boiled for 5 seconds. This green chile sauce gets its mild kick from fresh Anaheim chiles--long, slender, pale green peppers. The chile sauce pairs well with chicken or pork; you can also serve it as a snack with baked tortilla chips. This typical New Mexican green chili stew is an easy and delicious addition to your weeknight dinner table.